How the simple act of sharing personal stories can help uncover divisive thoughts buried deep within ourselves. Bozzie and Judy Edwards live in the hilly North Mississippi countryside, in a home that fills with grandchildren on Sundays after church. He’s an Iraq War veteran who retired after 29 years with the Army National Guard. She works full-time as her husband’s caregiver. The Calhoun County of their childhood was quieter than much of Mississippi, where bombings and assassinations pricked the nation’s conscience during the civil-rights movement. White supremacy, nonetheless, was rigidly enforced. In 1961 the school superintendent reassured a state investigator that no African-American teachers belonged to the NAACP and that any “agitator” among the faculty would be fired. Two years later, county officials insisted that “Negros simply took no interest in paying their poll taxes”—and that’s why, out of roughly 1,700 African-American adults, only six or seven had qualified to vote. The earliest steps toward legal equality—token school desegregation and black voter-registration efforts—were met with cross-burnings and death threats. One of the first black teens to attend a previously all-white high school transferred out after 10 shots were fired into his home. The Edwardses, themselves African American, carry searing memories from their youths. Bozzie, who is 66, recalls long waits at a dairy-bar takeout window—he wasn’t allowed inside—while the white kids got served first at their tables. He recalls walking home from town with his brother when a white driver swerved in their direction; they tumbled into a ditch as the gravel flew over their heads. He recalls his father—“so mean and so respected”—sleeping with a loaded rifle after offending a white man inside a store. “Back in those days, when they got you, they’d come at night,” he says. 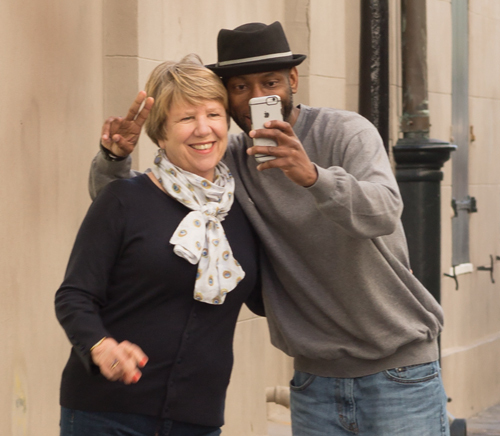 Friendships can emerge from the Welcome Table, as is the case for Nancy Dixon and Steven Kennedy of New Orleans, whose disparate experiences with the criminal justice system brought them together. Stories like these often stay buried in the bearers’ hearts. Maybe they get shared within the confines of a household, or within a tight-knit single-race community. In a place like Calhoun County, where social—if not legal—segregation persists, they certainly don’t get told to strangers of other races. That is, not until now. In 2013, a group of black, white, and Latino Calhoun County residents—originally convened by a local nun—invited the University of Mississippi’s William Winter Institute for Racial Reconciliation to help facilitate an ongoing dialogue about race. The Winter Institute—named for a former governor known as a progressive reformer—runs a program called The Welcome Table, which it brings to communities with histories of distrust. At the program’s core are monthly meetings where trained facilitators help participants tell and listen to personal stories. One goal of these conversations is to foster relationships across race lines—ties that later translate into civic activities aimed at promoting racial justice. That deepening has slowly begun in Calhoun County, a near-rectangle of cattle and sweet-potato fields and tin-roofed houses with bottle trees in their yards. At monthly meetings, Winter Institute facilitators offer prompts for the group to discuss either collectively or in pairs and trios. Nine guidelines—maintain confidentiality and respect silence among them—help members feel comfortable opening up and ensure that no one dominates the conversation. The Welcome Table can loosely trace its origins to 2004, four decades after the landmark voter-registration drive called Mississippi Freedom Summer. In June 1964, outside the lumber town of Philadelphia, three civil-rights workers—one black Mississippian and two Northern white students—were arrested, then murdered, after visiting a church destroyed by arson. The charred bodies of James Chaney, Andrew Goodman, and Michael Schwerner were found later that summer, and their slaying remains an enduring symbol of white-supremacist terror. No one had yet been prosecuted by the state. 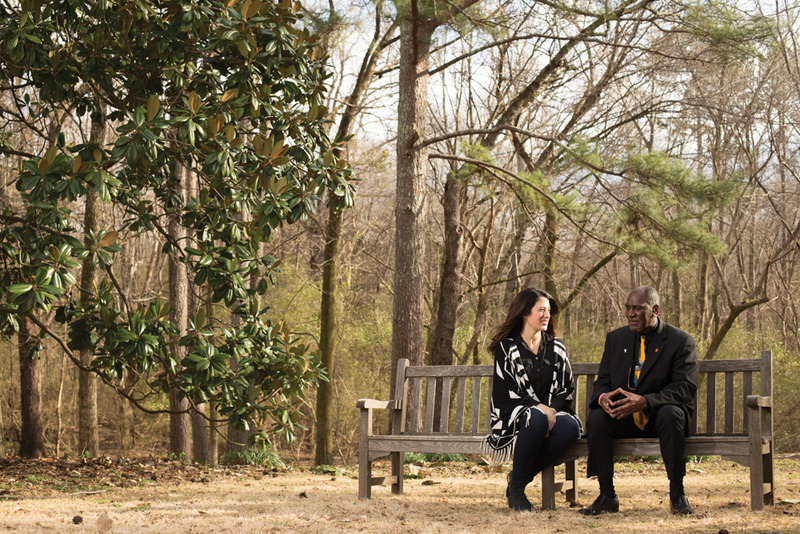 In conversations, Elizabeth Paine and Don Cole, who live in Oxford, Mississippi, have both uncovered divisive thoughts buried deep within themselves. Knowing the 40th anniversary would draw global attention, two former classmates—a black NAACP president and a white newspaper editor—contacted the Winter Institute. “They wanted to help reshape the narrative,” says Welcome Table coordinator April Grayson. “They knew more about that community than someone visiting there as an outsider.” But the prospect of a public commemoration had triggered tensions in Philadelphia. The white-run tourism council envisioned a brochure about local heroes and a civil-rights driving tour. Older African Americans, who felt their own stories had been overshadowed by savior narratives, feared tourism officials would whitewash history. It’s hard to trust each other when we don’t know each other’s stories, someone said at a meeting. It’s hard to trust each other when we don’t know each other’s stories, someone said at a meeting. Susan Glisson, the Winter Institute’s executive director, responded by devoting time during each planning session to personal storytelling. It was a rudimentary but still useful version of what would become the Welcome Table process. Over time, the Philadelphia group developed sufficient trust to produce an oral-history project. It also successfully lobbied officials to prosecute the former Klan leader who, in the 1960s, had bragged about ordering the killings. The institute did similar work in McComb, which during the civil-rights era was called the “bombing capital of the world” because of the violent retribution endured by activists. Glisson later solicited feedback from participants in those towns, and their advice helped her develop the Welcome Table’s basic structure. The institute says it has brought some version of that structure to five Mississippi communities, plus New Orleans, since then, and two more groups are currently gearing up. It has, ideally, three phases. The initial months are focused on trust-building through a curriculum of structured storytelling exercises, culminating in a more intensive weekend-long retreat. In Phase 2, the groups start planning manageable projects: a tutoring program, an ice cream social, the development of a public-library civil-rights collection. The facilitators also step up their training in concepts like microaggressions (everyday insults, often unintentional) and structural bias (systemic practices that perpetuate inequalities). Phase 3 is still in development. As the institute envisions this final step, groups will develop “equity projects” that identify and address local structural bias. “I will be very frank: We have never taken a community all the way through where we’ve said, You’ve graduated; you’ve done your equity project,” Grayson says. Reconciliation is slow work, and facilitators don’t want groups to dive into ambitious projects too quickly. The institute uses a matrix called Community Compass to measure how participants talk about race, and how well they work together. Based on the “compass of readiness,” Grayson says, the institute has paused some communities before they’ve immersed themselves into Phase 3. Besides, building trust is, by itself, a profound step. Conversations in Oxford have been intense and sometimes tearful, with members confessing to cracks in their own righteous self-images. The town, once dubbed the “Vatican City of Southern Letters,” claims William Faulkner as its own and hosts two annual literary conferences. Visitors orient by The Square, a courthouse roundabout lined with boutiques and independent bookstores. Unemployment is low. School test scores are high. Unlike Calhoun County, there’s no private segregation academy. Still, Oxford’s legacy of racial conflict runs deep. It’s hard to separate the university from the fatal mob violence that broke out when James Meredith, under court order and federal protection, enrolled as a student in 1962. For all the progress since then, there are still setbacks: white students shouting racial slurs after President Obama’s reelection; vandals tying a noose around a bronze Meredith statue. African Americans remain underrepresented at the university and often feel unwelcome on The Square. In that crucible of “nakeding,” personal transformation begins. Elizabeth Paine, a white Oxford member and former congressional staffer, recalls a conversation about the uprising that followed the killing of Freddie Gray by Baltimore police officers. “I found myself siding initially with the police,” she says—wondering why protesters would damage property in their own city and trusting that the courts would fairly sort out the blame. Steven Kennedy, a real-estate agent and advisor in New Orleans, was incarcerated for four years for selling narcotics. His call to “drill deep and get to the core” animated his Welcome Table group in New Orleans’ St. Roch neighborhood. He has talked to the group about growing up surrounded by violence, and even told them when his sister had just been murdered. Other times, Kennedy would talk about how city infrastructure contributes to racial injustice and inequality. When an African-American member talked about her pride that a black woman was prosecuting the Baltimore officers, something clicked for Paine. “I realized that being white has afforded me the ability to think, ‘Let’s let the courts handle it,’” she says. “I realized the courts aren’t always fair; there is racism within the judicial system. I had been so naïve.” She confessed this to the group afterward. There’s no single way to structure these conversations. The Winter Institute often uses “story circles,” in which one person speaks at a time and everyone else focuses on listening rather than responding. By contrast, Lee Mun Wah, a California diversity trainer best known for his film The Color of Fear, favors a more interactive approach. “When a gentleman in the circle rages about what racism has done to him, it is not enough to simply have people sit around the room crying,” he says. “That’s not authentic. You have got to do something with the story he shared.” Asking a white person to respond honestly to a person of a color’s narrative potentially invites confrontation. Addressing that conflict, he says, brings people closer. The Winter Institute’s Grayson agrees that confrontation can be productive. 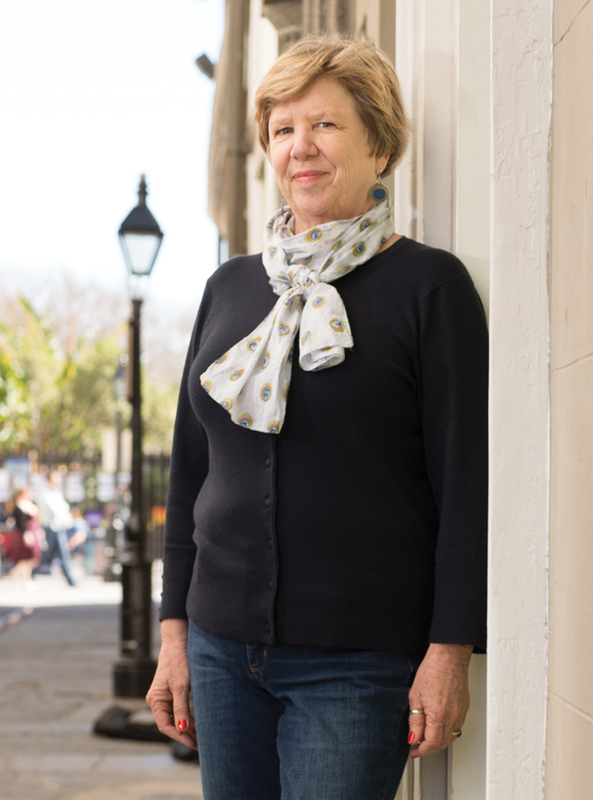 “It’s just that we start, in the earliest meetings, with challenging the paradigm of debate and creating a structure so that people are asked to deeply listen,” she says. “Our approach tends toward creating safety where there hasn’t been safety.” Grayson adds that whites (herself included) can react strongly when they start grasping the realities of racism, including their own complicity. “It’s not the person of color’s responsibility to deal with your emotions,” she says. Whatever the approach, this is work best done over time. “It’s not like speed dating,” says Tatum, the former Spelman president. Rush it, and things could backfire. In 2014 New Orleans Mayor Mitch Landrieu announced that his office would launch its own Welcome Table, the first in a large metropolitan area. There was no question the city was overdue for a conversation: Hurricane Katrina, nine years earlier, had laid bare longstanding racial inequities. Black New Orleanians are more than twice as likely as whites to live in poverty, and eight times more likely to be murdered. African-American youth are arrested in such outsized numbers that, in 2011, the US Justice Department accused the city of “discriminatory policing.” Following Katrina, city officials voted to demolish sturdy public housing even as an influx of young professionals was driving up rents and mortgages. After Landrieu’s announcement, some questioned whether—in the words of one newspaper columnist—“a few kum ba yah moments” could really help bridge the divide. Others asked why the Mississippi-based Winter Institute, rather than a local group, had been invited to facilitate. Still, New Orleanians showed enough ongoing interest to populate the first five Welcome Table groups. 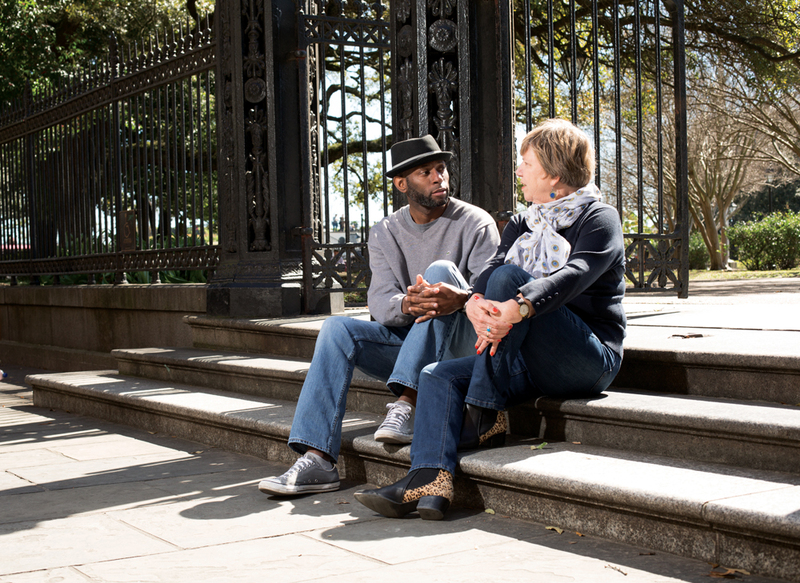 One met in St. Roch, a neighborhood struggling with gentrification. Its members came from across the city. The group shared its proposal at a public meeting last June: a mashup of several ideas involving theater, social media, and “intimate conversations” about race. Even members couldn’t really explain their own plan. Glover has stopped attending and Kennedy took a hiatus, while the others are learning to cope with meetings that toggle between productive and discouragingly hostile. “Sometimes we just need to tighten our seatbelts and hang on,” Wofford says. If there were a direct path to racial equality, someone would have discovered the trailhead by now. There is none. America’s original hate crime, the forced importation of Africans to build the nation’s economy, might be long in the past, but its legacy has persisted in the 153 years since emancipation: through the violent suppression of Reconstruction-era gains; through lynchings and Jim Crow laws; through restrictive covenants and bank redlining; through funding mechanisms that perpetuate second-rate schools in poor districts; through unequal treatment by the police and judicial systems; through old-boy hiring networks; through demagoguery and talk-radio venality and a billion commonplace slights. Steven Kennedy took a break from the St. Roch Welcome Table group. Dixon still attends. “Even if it’s just to show the level of distrust and damage that’s been done in this country, it’s been valuable,” she says. Against these forces, progress is necessarily slow, even at the local level. Because there’s no surefire path, the Winter Institute continuously tweaks its methods, learning what works in specific communities and adjusting accordingly. Even without guaranteed results, it’s clear from the Welcome Table that people crave engagement and believe in its potential to improve their communities. Some drop out, but many stay in the room and muscle through the hard conversations in the hopes that they’ll lead to more systemic gains. The Welcome Table happens in three phases. Each lasts approximately six months. Includes monthly community meetings focused on developing relationships and building trust. Participants spend a weekend together on retreat. The group decides on a project to work on together. A project could be anything from an oral history, a civil rights driving tour, an afterschool mentoring program, scholarships for students to attend previously unaffordable summer enrichment programs, adding playgrounds in neighborhoods that had none, or building a community center or community garden. Training continues through monthly workshops. The group receives training to develop an equity plan. An equity plan identifies a structure that creates or perpetuates inequity in the community—such as a city policy, a hiring practice, the composition of a committee, or a community tradition—and works with the stakeholders to change that structure. Read The Welcome Table’s nine guideposts for keeping it real while engaging in meaningful communication. 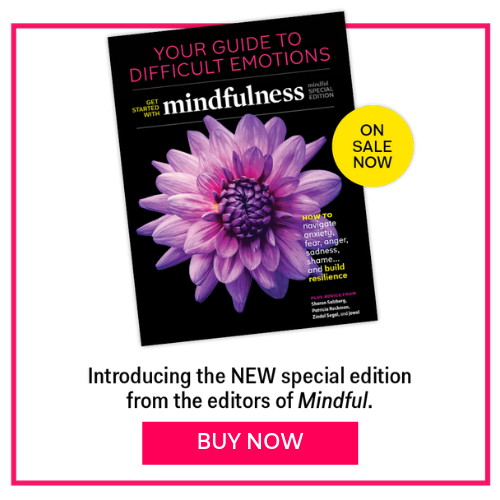 This article originally appeared in the June 2016 issue of Mindful magazine. 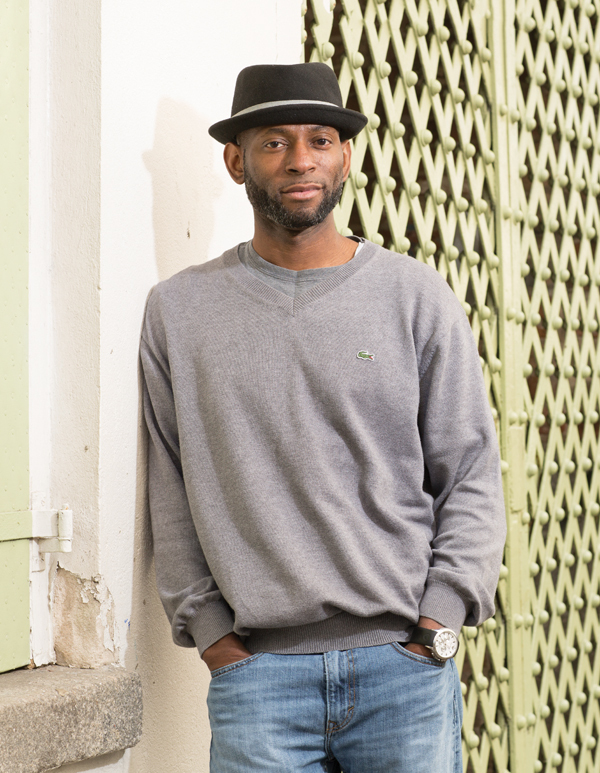 Barry Yeoman is an award-winning magazine journalist who specializes in narratives about complex social issues. He has written for Parade, The Saturday Evening Post, The New New South, Sunset, and The Nation, among many others.